Our light leave-in conditioning spray that instantly repairs and detangles without weighing you down. 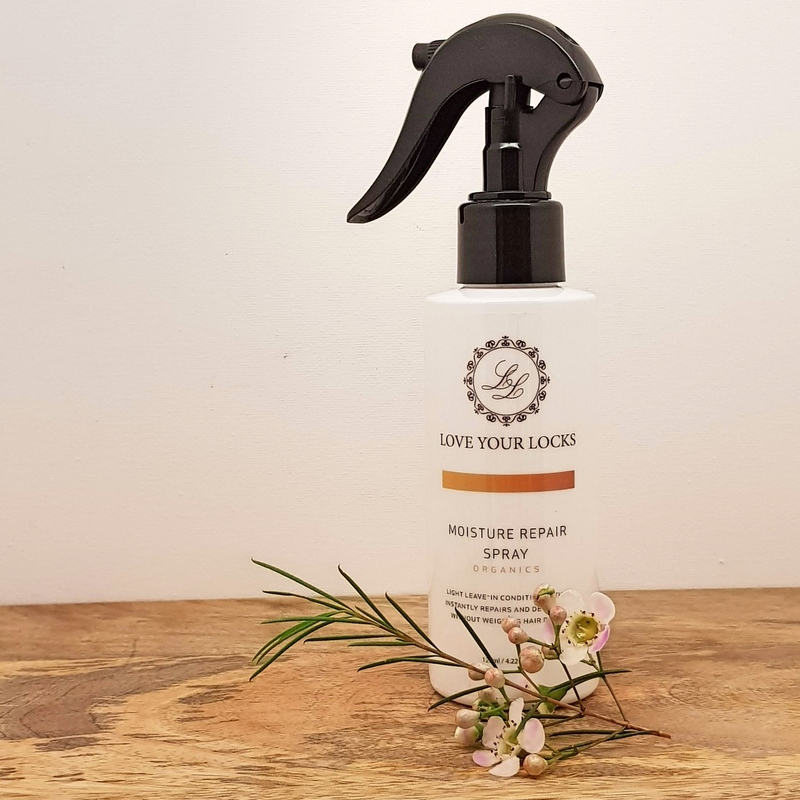 Our Moisture repair spray is filled with vitamins and minerals giving your hair the protein it needs without weighing you down. A great detangler for the whole family, its perfect for all hair types. Apply to towel-dried hair after shampooing and conditioning. Spray liberally over entire length of hair concentrating on the mid-lengths and ends. Comb through starting from the ends and working your way up to the roots for even distribution and to ensure best repair & detangling results.